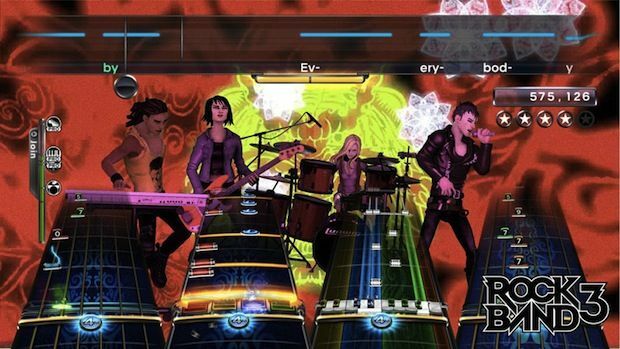 Today is a bittersweet occasion in the annals of video game history: Harmonix is releasing the final downloadable content for its Rock Band series. Since the first Rock Band came out in late 2007 the studio had promised new songs weekly for downloadable purchase and play. It kept that promise for 281 consecutive weeks: far, far longer than most players probably expected. Maybe even longer than it has been profitable. Hard to find that kind of reliability in any modern industry, much less the video game one. I only played Rock Band and Rock Band 2, and I have to agree with what Brett Makedonski has beautifully written on Destructoid: this series had an immense impact on my life. Not just for the fun I had playing it but also because it exposed me to a spectrum of music that until then, I had not experienced and might never have. Indeed, because of Rock Band my wallet dropped dollars not just for the DLC but for the songs themselves on iTunes. I am a far more musically educated and enlightened individual today for Rock Band... and that's something that'll never be forgotten or unappreciated. Seeing as how this will be the final post that this blog is likely to see about Rock Band, let's have it go out in true style. Here once again is that amazing opening title cinematic from the first game: "Highway Star" by Deep Purple!